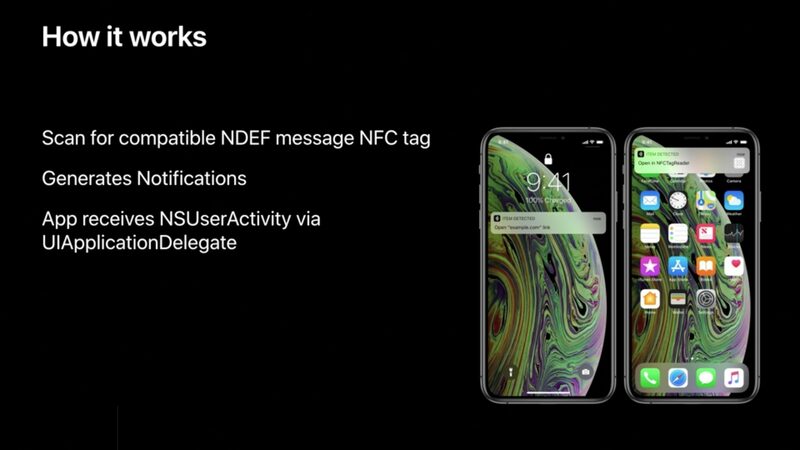 IPhone Xs/XR supports background NFC without needing to start another application. Although Apple quickly passed the NFC features of the iPhone Xs / XR at the launch, according to developers, the iPhone Xs, the iPhone Xs Max and the iPhone XR have all been improved on the NFC. On the existing iPhone, users usually need to start the application first, although the NFC function can be called. Now, the new iPhone Xs / Xs Max / Xr supports scanning NFC tags directly without launching App. The new NFC backend feature will allow users to scan any NFC tags in museums, shops, hotels and public transport without opening Apps first. "On an iPhone that supports background tag reading, the system can scan and read NFC data without requiring the user to call App to scan," Apple said. Every time the new label is read, the pop-up notification is displayed. After the user clicks, the system passes the tag data to the response program. That is, in situations where NFC operations are required, the user simply walks into the NFC scanner and wakes up the iPhone screen to complete the scan. This feature was actually shown in the big, pretended movie title at last night's press conference, and careful fruit powder should have been found. If the iPhone is locked, the system prompts the user to unlock the phone before passing the tag data to the relevant App. It should be noted that the background NFC tag reading function works only when the user's iPhone is in normal use, thus avoiding unexpected tag reading. If the device has not been unlocked, the core NFC reader or Apple Pay wallet is in use, the camera is on or in flight mode, the feature will be temporarily blocked, eliminating unnecessary hassles. In addition to supporting custom URL schemes for third-party application-specific tags, iOS will also integrate with several default URL schema types. If you use URLs to encode NFC tags, users can click the notification pop-up window after scanning and start Safari. Similarly, email tags can start Mail, and phone number-coded tags can start a phone call. If App does not use permissions, the function will not be automatically activated. It prevents users from accidentally passing the NFC contact surface to cause unexpected execution. 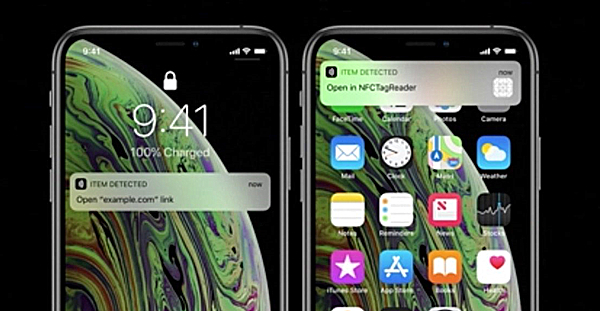 Background NFC tag read function is limited to iPhone Xs/Xs Max/Xr. IPhone X and earlier models are not supported. Guo Mingji: iPhone XR is much better than iPhone 8.